I found this client server framework which uses Indy 10 over on 3dElite and it runs on Delphi XE5 Firemonkey. Basically this framework builds a client server system on top of Indy 10 and does all the hard parts so you can jump right into building your application. It comes with a client server demo that has build in chat and file transfers. You can setup your own commands and it has a commend queuing system setup already for handle sending and receiving those commands between client and server. The components it uses include TMessageChat, TMessageCommand, TMessageBinary, TMessageTransferRequest, TMessageTransferCancel, and TMessageClientKick. With the client server demo I was even able to connect two clients at the same time right out of the box and the chat was visible from all three clients. You can also do multiple parallel binary data transfers. Additionally it has a user list for authentication support right of out of box. You could use these components to remote control your Android device or run actions on your Desktop. You could also run one server on one Android device and connect to it from a second Android device. The threads are already setup on the client side and server side which makes it even simpler to jump in and start creating your app instead of starting from scratch and having to write all of your own code. This framework is free in free software otherwise there is a commercial license available for you. You can download it for free and start testing it out now though. These components are built on top of Indy which ships with Delphi and they run on Android, IOS, OSX, and Windows. 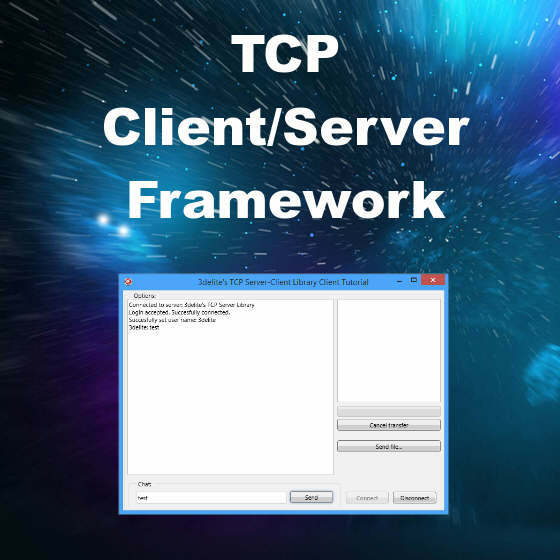 Head over and download this tcpip client server framework and start building your client server app.